Our Series 30, 31 and 32 range of three-way mixing and diverting valves allow for accurate controlled splitting or mixing of flows even at high flow capacity. They are based on the body design of our Series 10 range and are primarily used for blending of flows. When used in reverse they can also be used to split flows. They come in sizes from 1.5” to 12” (40mm to 300mm) and an ASME rating of 150-600. When used for mixing, the Series 30 valves have two separate inlets and one common outlet. Flows are proportionally blended into one stream by control of the valve plug position. The standard plug – a linear ‘V’ port – provides a high flow capacity and high rangeability. 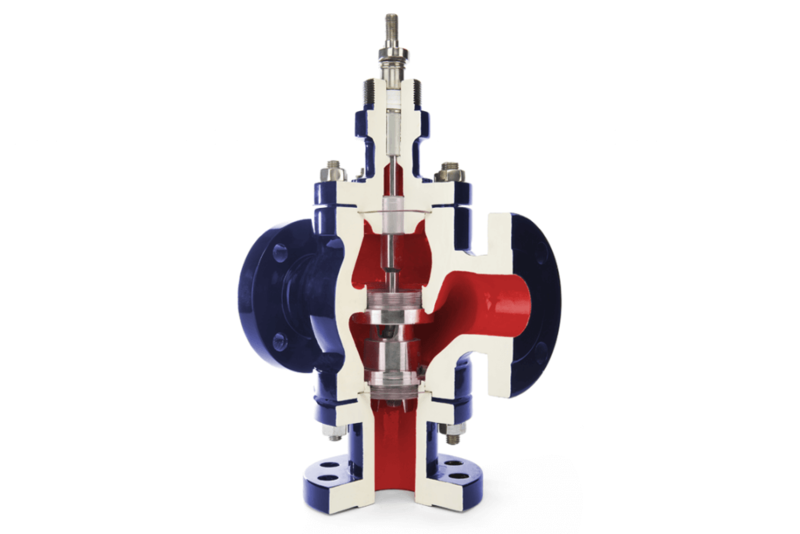 When flowed in reverse the Series 30 valves can be used for splitting flows. Here, the valve has one common inlet and the flow is split proportionally between two outlets. The total outlet capacity is constant, irrespective of the plug position. Based on the Series 20 design, the Series 31 has an additional body rib inserted to separate flows. The under/over flow regime means the plug is inherently balanced, so that the valve requires a smaller actuator than an equivalent Series 30. Based on the Series 10 body casting, the Series 32 has a bottom flange fitted to the base of the body as an inlet connection. The trim is cage guided with a balanced plug. Depending on the plug position, flow is proportionally directed to the left or right-hand outlet. Offers proportional splitting or mixing of flows. Balanced trim construction allows for high flow rates while minimising actuator size. Minimum differential plug areas reduce actuator force requirements (Series 31 & 32). 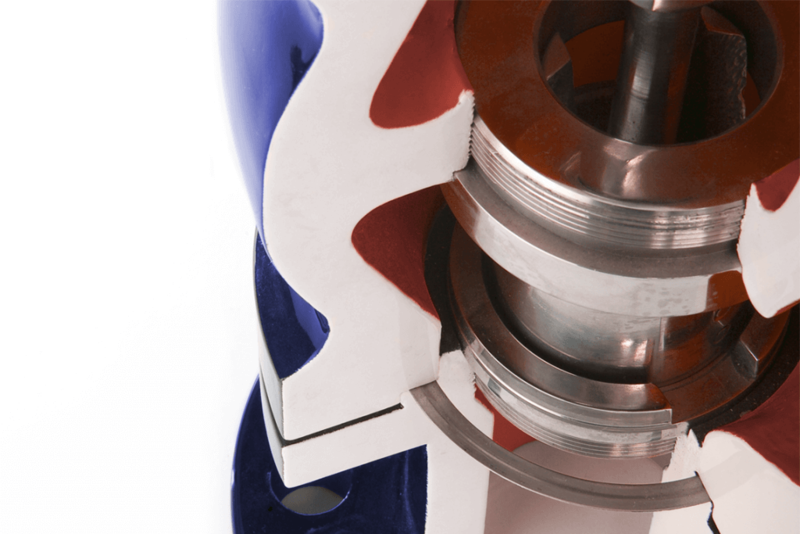 If you'd like to discuss your requirements, or would like more information on our three-way seated globe control valves please get in touch.